Brett and I reunited in Boston yesterday. We drank beer, we went on a boat, and we explored Boston’s historical sites. But because we’re multi-tasking Millennials, we also kept our eyes on Twitter for last-minute deals before the trade deadline closed. And with two big-name pitchers on the move and a whole load of relievers stuck in the same place, there’s a lot to get to. While Brett continues to enjoy his vacation in Boston, it’s up to me to break down all the wheeling-and-dealing that went on over the past few weeks. Grades for deadline deals are tricky because they attempt to measure future success. A high grade at the deadline is no guarantee of a World Series; it merely seeks to measure whether a team has increased or decreased their chances of bringing home a championship either this season (for buyers) or somewhere down the line (for sellers). Acquired RHP Sonny Gray from the Oakland Athletics in exchange for CF Dustin Fowler, RHP James Kaprielian, and SS Jorge Mateo. Acquired LHP Jaime Garcia from the Minnesota Twins in exchange for LHP Dietrich Enns and RHP Zack Littell. Acquired 3B Todd Frazier, RHP David Robertson, and RHP Tommy Kahnle from the Chicago White Sox for RHP Tyler Clippard, LHP Ian Clarkin, CF Blake Rutherford, and CF Tito Polo. Coming into the deadline the Yankees needed help at the infield corners and in their starting rotation. GM Brian Cashman went out and solved all of his teams’ problems, and then made his bullpen unstoppable. The rotation now includes Gray, Garcia, Luis Severino, Masahiro Tanaka, and CC Sabathia, with Jordan Montgomery as a sixth option. Robertson and Kahnle join Dellin Betances and Aroldis Chapman in the ‘pen. Picking up Frazier not only fills the hole at third base, but allows the Yankees to improve their situation at first by moving Chase Headley to the other side of the infield. Cashman did it all without giving up his most prized prospects. A slam-dunk flurry of moves for the Yankees, who unseat the Red Sox as the favorites to win the AL East. Acquired RHP Addison Reed from the New York Mets in exchange for RHP Gerson Bautista, RHP Jamie Callahan, and RHP Stephen Nogosek. Acquired INF Eduardo Nunez from the San Francisco Giants in exchange for RHP Gregory Santos and RHP Shaun Anderson. Compared to their arch-rivals, the Red Sox have to feel like they lost at the deadline. That’s not the case. Nunez was a perfect pick-up from the Giants, providing not only an option at third if Rafael Devers struggles in the bigs but also at second to give Dustin Pedroia a bit more rest. Reed is a good addition to a steady bullpen, and every playoff contender always needs bullpen help. Boston’s woes aren’t due to a failure to acquire pieces; it’s because the pieces they have are under-performing. 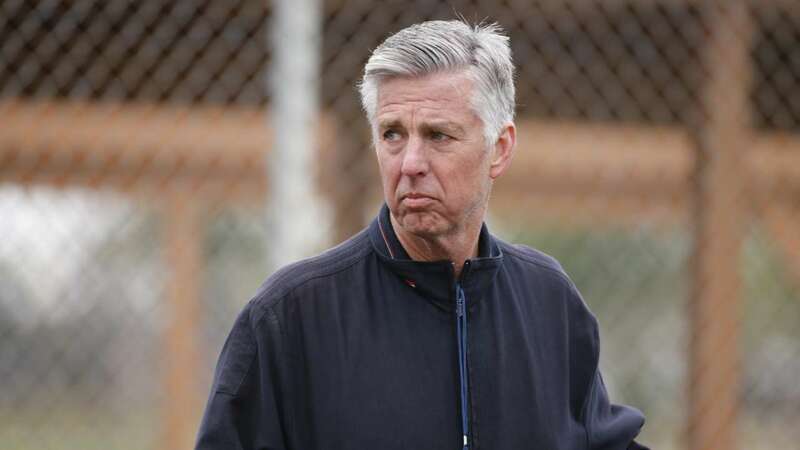 The Red Sox need more from Mookie Betts, Xander Bogaerts, Mitch Moreland, and Rick Porcello. The minus comes from their inability to pick up a position player with power; I thought they could have benefited from a guy like Yonder Alonso, who has 22 home runs on the season. Sent SS Tim Beckham to the Baltimore Orioles for RHP Tobias Myers. Acquired RHP Steve Cishek from the Seattle Mariners for RHP Erasmo Ramirez. Acquired 1B Lucas Duda from the New York Mets for RHP Drew Smith. Acquired LHP Dan Jennings from the Chicago White Sox for 1B Casey Gillaspie. Acquired RHP Sergio Romo from the Los Angeles Dodgers. The Rays did what they always do at the deadline; make some small-time moves to remain relevant and tread water in the playoff race. They’re quickly falling behind the Yankees and Red Sox in the chase for the AL East pennant, and are slipping further and further back in a crowded wildcard race. Duda will add to Tampa Bay’s power-first approach, and the quantity of bullpen arms they’ve acquired give them enviable depth late in the game. But none of these moves help the Rays separate themselves from the pack, or improve their team for future seasons. Acquired SS Tim Beckham from the Tampa Bay Rays in exchange for RHP Tobias Myers. Acquired RHP Jeremy Hellickson from the Philadelphia Phillies in exchange for LF Hyun Soo Kim and LHP Garrett Cleavinger. It’s not so much the moves the Orioles made that are surprising, though why they felt the need to add Hellickson I’ll never know. It’s the moves they didn’t. Rumors had relievers Zach Britton, Darren O’Day, and Brad Brach all on the market; all of them remain in Baltimore. Franchise cornerstone Manny Machado, who will become a free agent after 2018, is also still with the team. For a team that likely won’t make the playoffs this season, hoarding their players when they could be exchanged for valuable prospects seems like the actions of ownership in denial. The Orioles are rudderless right now, and will likely regret not selling their players when the demand was high. The Blue Jays didn’t have much they could do at the deadline. They lacked marketable, reasonably-priced pieces that contenders wanted to add to their rosters. The two moves they did make helped bolster a farm system that’s looking more and more impressive (Hernandez is now their 5th-ranked prospect, while Pannone is 21st). Solid, if unspectacular moves from the team up north. Acquired RHP Joe Smith from the Toronto Blue Jays in exchange for LHP Thomas Pannone and 2B Samad Taylor. Unlike my colleague Brett, I actually like the Joe Smith trade. It always pays to have more bullpen arms, and Smith is an above-average pitcher out of the ‘pen. But the Indians needed to do more. They were rumored to be interested in Yu Darvish, but failed to acquire him or any other starting pitcher. They missed out on JD Martinez, and their outfield still looks a bit slim as a result. The Tribe still has enough pieces to make a run at the World Series, especially if they start clicking at the right time. But if they do win the Series, it won’t be because of any activity at the trade deadline. As I wrote last week, the Royals have reinserted themselves into the AL playoff race with strong showings in June and July. The trade with the Padres adds considerable depth to both the bullpen and the starting rotation. I’m less ecstatic about the Cabrera trade, but he does provide a solid bat even if his fielding leaves a lot to be desired. The Royals are in win-now mode; these deadlines moves, while not flashy, should help them make the playoffs and maybe–if they get very lucky–poach the Central from Cleveland. Sent RHP Brandon Kintzler to the Washington Nationals for LHP Tyler Watson. 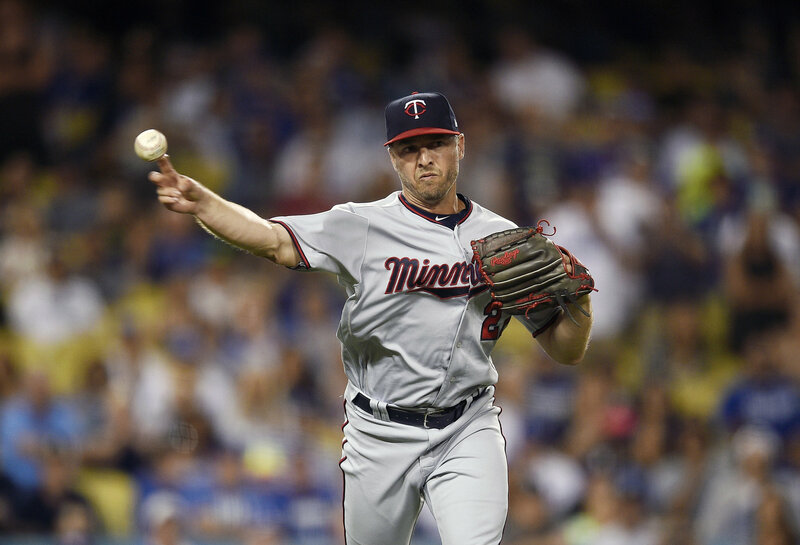 The Twins hung around the wildcard race for a while, but after going 3-7 in their last 10 they’re in free-fall. Selling off their uncontrollable assets in exchange for prospects was their best option. The turn-and-burn with Jaime Garcia netted them a solid prospect in Zack Littell from the Yankees. They have to be a bit disappointed they couldn’t get more for All-Star Brandon Kintzler, but he is a free agent at the end of the season. Prospect Tyler Watson is far better than nothing. One trade was great, the other was not. Getting the Cubs’ top prospect in Jeimer Candelario, as well as the young shortstop Isaac Paredes, for two pieces that don’t figure into Detroit’s long-term plans was an excellent move by GM Al Avila. It almost made up for the poor return they got from the Diamondbacks for JD Martinez. Avila isn’t all to blame–there really wasn’t much of a market for corner outfielders, and JD’s contract expires this season–but Lugo, King, and Alcantara are a long way from the Show, if they even make it there. One win and one loss means a just above-average grade seems right for the Tigers. Sent LHP Jose Quintana to the Chicago Cubs for 2B Bryant Flete, RHP Dylan Cease, LF Eloy Jimenez, and 1B Matt Rose. Prospects, prospects, prospects! That’s the way to rebuild, and the White Sox are doing it right. They’ve traded away everything that isn’t bolted down, and in return they’ve built a farm system to make any GM salivate. Jimenez, Rutherford, and Cease all slide into the top-10 of White Sox prospects. There may be a couple rough years ahead, but the White Sox farm system is now arguably the best in baseball. 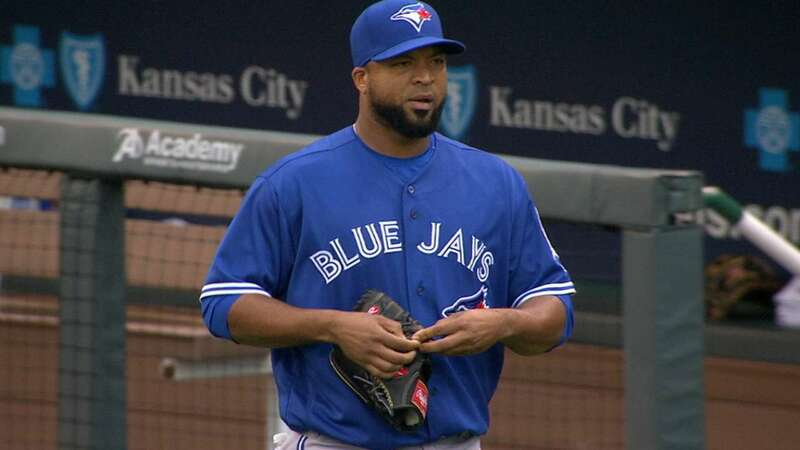 Acquired LHP Francisco Liriano from the Toronto Blue Jays in exchange for LF Norichika Aoki and RF Teoscar Hernandez. Really? That’s it? With other contenders like the Yankees and the Dodgers making big moves, the Astros only acquired Liriano, a mercurial southpaw who’s as liable to pitch 8 shutout innings as he is to give up 8 runs in just one. The Astros have a comfortable lead in the AL West, but could have dearly used another starter and another reliever come October. The declining effectiveness of their pitching staff (their ERA has increased every month since April) has got to be a worrying sign for Houston’s management. This team has enough talent that they’re still one of the favorites for the World Series. But they clearly missed an opportunity to make their team better, and may regret their inactivity this fall. A rare quiet deadline for GM Jerry Dipoto, but his team is in a tough spot. They’re in contention for the AL Wildcard, and have a strong core of position players. But they don’t have the pitching depth in either the rotation or the bullpen to make much noise come October. They also don’t have a strong farm system, ranked in the lower third of MLB teams. Dipoto will play the string out on this season, but very soon now he’s going to have to decide how he wants to retool his team. The Angels were particularly quiet on deadline day, only making one move with the Arizona Diamondbacks to acquire RHP Luis Madero. It’ll be a slow process to rebuild their farm system, and the big-league team is well out of the playoff race. But hey, at least they can watch Mike Trout do Mike Trout things. Sent C Jonathan Lucroy to the Colorado Rockies for Player To Be Named Later. These deals admittedly don’t look great on paper. The Rangers gave up their ace Darvish and failed to get Alex Verdugo, the Dodgers’ top prospect. They returned Jeffress to the Brewers and sent Lucroy to the Rockies for basically nothing, after depleting their farm system last year to acquire the two. But for a team trending downwards, the Rangers got what they could for Darvish, including their now-no. 2 prospect Willie Calhoun, and dumped Jeffress and Lucroy to give themselves a bit more flexibility in the future. They were the best moves the Rangers could make, and for that they get solid marks. As the deadline approached on Monday afternoon, the game of chicken between Billy Beane and Brian Cashman finally came to a satisfying conclusion. The Yankees got their pitcher, and the Athletics retooled their farm system with three great prospects. Fowler is close to big-league ready, though he is in recovery after a gruesome injury to his knee a month ago. Mateo is now the Athletics’ fifth-ranked prospect, and Kaprielian–the piece the Yankees were least willing to part with–has big-league potential if he can stay healthy. For a team needing more prospects, the return on Sonny Gray couldn’t have been better.